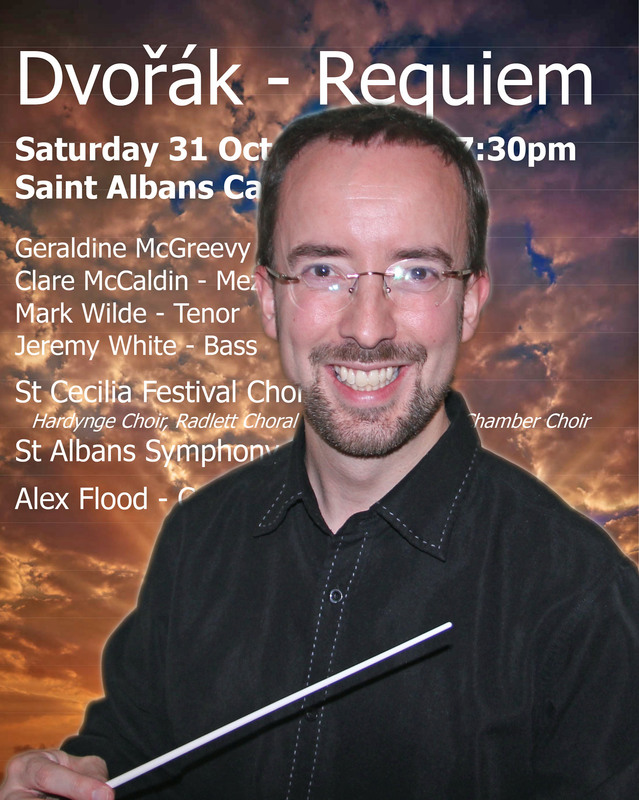 Congratulations to all concerned in the St Albans St Cecilia Festival Society’s presentation of Dvorak’s rarely-heard Requiem. Few who heard it in St Albans Cathedral on Saturday could fail to agree that this powerful and dramatic work should be heard far more often. But when he orchestrated the work he packed the orchestra with instruments such as hand bells, tubular bells, a harp and even an organ which all make very brief appearances but add greatly to the overall performance cost. 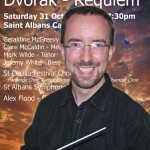 With a choir of around 120 drawn from Harpenden’s Hardynge Choir, the Radlett Choral Society and the St Albans Chamber Choir together with the St Albans Symphony Orchestra and four outstanding soloists, the performance was superbly controlled by St Albans based composer, conductor and organist Alex Flood. Alex made full use of the fine harmonies in the work and was always in complete control of the complex dynamics of the work. Unlike many other works the soloists do not have any real arias but their job is very much to work with and supplement the choir. In this performance soprano Geraldine McGreevy, mezzo Clare McCaldin, tenor Mark Wilde and bass Jeremy White added greatly to the overall effect with very fine singing. One of the great achievements of this biennial event is that it brings together members of three very different choirs and always achieves a fine result. This year the achievement was even higher because few, if any, of the amateur performers had performed the work in the past. Although there were some small moments when things did not go completely right, the overall result was a good performance which shone a light on this little-known work of an all-time great composer. The three choirs worked amazingly well together and with the orchestra, produced some truly great sounds. Alex Flood deserves special thanks for daring to choose such an epic and little-known work for the evening. The performance left so many wondering why such a great piece of music is so badly neglected.